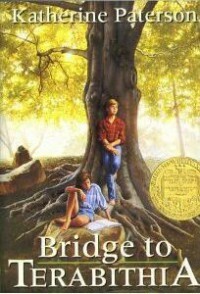 The Bridge to Terabithia is about a little boy name Jessie who becomes friends with the new girl name Leslie. Jessie and Leslie creates their own imaginary world named Terabithia. I think this book would be used best for upper elementary grades and the students can relate to imaginary places and friends. I would allow my students to come up with their own imaginary friend . The students could talk to their imaginary friends about problems or any kind of situations.